Posts Album launch date announced! 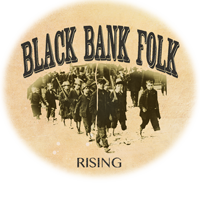 We are delighted to announce the launch of our debut album, Rising, on 5th March 2016 in Liberty Hall. Click here to buy tickets. Bring it on. Can’t wait for the show lads! This will be a great gig. Superbly talented guys, brilliant music, looking forward to a super gig. I’ve been waiting for the album, where can i buy it? OK, I was waiting for today as I thought it was the launch date (I’m in France so can’t get to the gig) and just found the album on itunes, but its been available since February! Saw you at Monroe’s in Galway last week. The words and the music were mesmeric and time stood still…..it was a crime only 8 people watched you but like me i hope those there will also spread the word. I bought the album from James before he headed back to Dublin and its not left the CD player since ! Hi John, Thanks very much for your message. We really enjoyed the gig, despite the numbers, and would love to get back down to Galway before the year is out.